Participants: Mario Aguilar, Marcello Averbug, Jorge Claro, Ruth Connoly, Clarita Estrada, Peter Lapera, Orlando Mason, Italo Mirkow, Agilson Perazza, Claudia Perazza, Lucía Redwood, Alfonso Sanchez, Jairo Sanchez, German Zincke. The main objective of this tasting is to experience pairing of six white wines with seafood. We will evaluate the wines and also how well they go with the menu. The Wine: This sparkling is made 100% of Chenin Blanc. Aromas of stone and citrus fruit with bread notes. The palate shows full apple and pear flavors, some yeasty notes with good texture. Fruity finish, champagne like, ending with mineral and gentle sweetness. (From Wine Searcher) Chenin Blanc is a versatile white-wine grape variety that has been cultivated in France for nearly 1300 years. It is most commonly associated with France’s Loire Valley, and its high acidity levels mean it can be vinified in a number of different styles: as lusciously sweet, botrytis-affected dessert wines, light, honeyed sparkling wines and as full-bodied, still white wines. In the vineyard, growers must keep Chenin Blanc’s naturally high yields in check, allowing flavors to concentrate and its floral bouquet to come through. The variety buds early and ripens late, making frost a risk in the cooler parts of the world. Arguably the best expressions of Chenin Blanc from the Loire are the sweet, botrytized wines from Quarts de Chaume and Bonnezeaux, where autumn mists in the Loire’s cool side valleys produce the required conditions for noble rot, resulting in wines with baked-apple, ripe peach and quince flavors. Botrytized Chenin wines are less weighty than their counterparts in Sauternes, but are capable of aging as long as the Bordeaux sweet wines, sometimes for longer. Good sweet Vouvray requires a decade to hit its peak but can be cellared for more than a century. 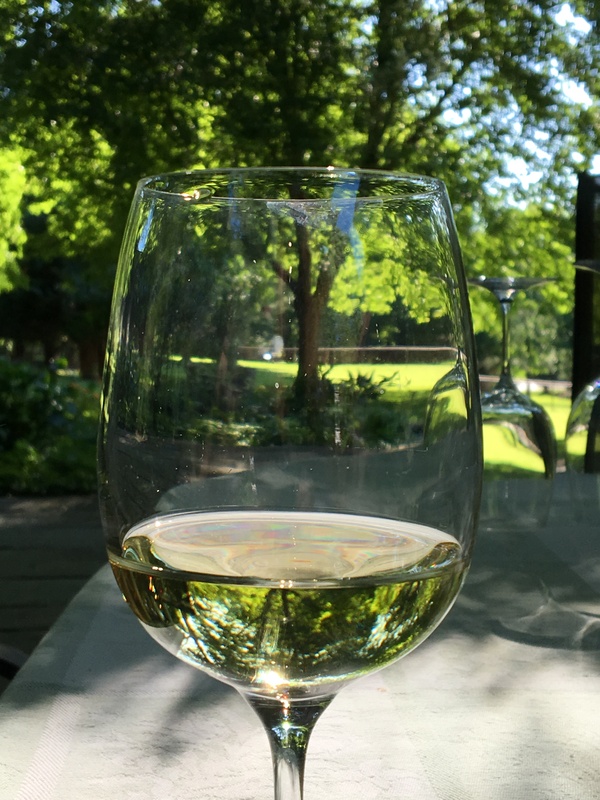 Like New Zealand Sauvignon Blanc or Argentinian Malbec, Chenin Blanc has found a specific home in the New World: this time in the vineyards of South Africa. This country has surpassed France to become the largest grower and producer of Chenin, and it remains the most-planted variety there. Chenin Blanc arrived in South Africa in the mid-17th Century, and was immediately popular for its productivity and its ability to generate high acidity, even in hot conditions. 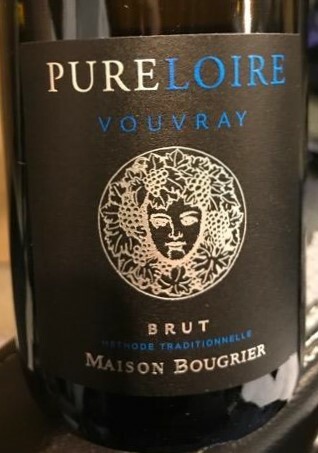 Maison Bougrier: Noel Bougrier, the fifth generation in a family of Loire Valley wine merchants, works with this storied wine region’s best growers to create excellent examples of classic Loire wines, including Vouvray and Rosé d’Anjou. The company has significant domaine and winery holdings in three major areas: Touraine, Anjou and Muscadet giving it full control over vineyards, grapes and production in a number of sites. The Wine: Subtle aromas of citrus blossom, orchard fruit and a whiff of crushed herb waft out of the glass. It’s fresh and straightforward, offering Granny Smith apple and ripe pear flavors. (From Wine Searcher) Pinot Grigio is the Italian name for Pinot Gris, a white mutation of the Pinot family which shares its genetic fingerprint with Pinot Noir, Pinot Blanc et al. The term Pinot Grigio has become strongly associated with lighter wines produced in great quantities, particularly in northern Italy. The refreshing Pinot Grigio style has enjoyed great success in various countries, most recently the United States, (where it is fondly nicknamed “Greej”) and Australia. The most common descriptors of the style are “light”, “crisp” and “dry”. These characteristics are complemented by aroma notes citing lemon, green apple and blossoms. This “everyday” Grigio style is achieved by harvesting the grapes relatively early, in an attempt to retain as much fresh acidity as possible; the variety is naturally quite low in acidity. To retain freshness and “zing”, fermentation and storage typically take place in stainless-steel tanks. If barrels were used, this would add palate weight and sweet vanilla-like aromas, which would detract significantly from the clean, simple style. This type of Pinot Grigio wine is almost always intended for consumption within a year or two of harvest, so extended cellaring is neither required nor advisable. The Winery: The land in the Adige Valley is characterized by constant wind which magically combines with the mild, Mediterranean climate of Lake Garda. Here grapevines grow in soil which is of porphyry/limestone origin, which exalts the typical characteristics of many varietals. Among them, the company’s favorite, is an autochthonous varietal called “Foja Tonda”, officially called Casetta Doc Terrradeiforti, which, until just a few years ago, was in the phase of extinction. Consequently, glorious “Foja Tonda” is a symbol of the biodiversity, characterizing a valley gouged out of the soil by its river, and squeezed in between the mountains. From the year 1962 onwards, the centerpoint of the company has been Dolcè, where grapevines decorate an enchanted strip of land that connects the Regions of Veneto and Trent. This area offers the scenery for a marriage project to espouse tradition with innovation. It is in Dolcè where all Albino Armani wines are bottled. And that is why Dolcè is precisely the place where the project becomes reality, and why the wines of the Adige Valley and of the “Terra dei Forti” stretch simply carry the name “Albino Armani”. The Wine: Wet stone and fresh lemon are faint but distinct on the nose. A pure lemon flavor streaks across the slender, taut palate, with a comet-like spray of freshness. This wine is dry and, if it weren’t for juicy glimpses of ripe lemon, would be almost austere. The Winery: (From Wine Searcher) Trimbach is one of the oldest wineries in the French wine region of Alsace, dating back to 1626. Located in Ribeauville, it is surrounded by limestone- and fossil-rich vineyards protected by the Vosges Mountains. Trimbach is known for its wines made from Riesling, and in particular the one made from the small Clos Sainte Hune vineyard, which is considered one of the finest Alsatian expressions of the grape. The house has been in the Trimbach family for centuries, but it wasn’t until 1898 – when Frédéric Emile Trimbach received the highest distinction for his wines at the International Wine Fair in Brussels – that the wines of Maison Trimbach began to attract attention. (From Wine.com) Jean-Frédéric Trimbach, born in 1811, was appointed Gourmet of Hunawihr, a position designed to protect the quality of wine exports. He transferred the Maison Trimbach business to Hunawihr, where he served as mayor for many years.Jean-Frédéric and his son, Frédéric-Emile continued the family tradition, and Frédéric-Emile traveled extensively to promote the wines. In 1898 he received the Certificate of Highest Quality at the Brussels International Show. With Frédéric-Emile at the helm, Maison Trimbach began bottling its wines in Alsace rather than selling in bulk, providing a new guarantee of quality and authenticity. The contribution of Frédéric-Emile Trimbach was recognized when the family adopted his initials in the firm’s official name: Maison F.E. Trimbach. The Wine: Chablis, Burgundy, France- Intense aromas of baked Granny Smith apples and ripe pear appear in the bouquet and on the palate. The racy acidity is one of the first things you notice along with mineral and flint sprinkled through the long mouth feel. Premier Cru, single vineyard wine. The Winery: (From Wine.com) The source of the most racy, light and tactile, yet uniquely complex Chardonnay, Chablis, while considered part of Burgundy, actually reaches far past the most northern stretch of the Côte d’Or proper. Its vineyards cover hillsides surrounding the small village of Chablis about 100 miles north of Dijon, making it actually closer to Champagne than to Burgundy. Champagne and Chablis have a unique soil type in common called Kimmeridgian, which isn’t found anywhere else in the world except southern England. A 180 million year-old geologic formation of decomposed clay and limestone, containing tiny fossilized oyster shells, spans from the Dorset village of Kimmeridge in southern England all the way down through Champagne, and to the soils of Chablis. 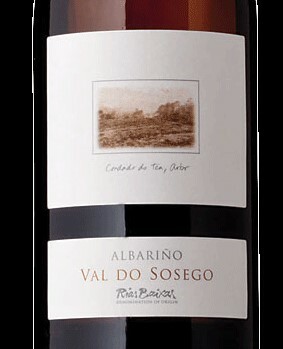 This soil type produces wines full of structure, austerity, minerality, salinity and finesse. Chablis Grand Cru vineyards are all located at ideal elevations and exposition on the acclaimed Kimmeridgian soil while most of the vineyards in the outlying spots are referred to as Petit Chablis. Chablis Grand Cru, as well as some Petit Chablis, can age for many years. Fourchaume is one of the best known Premier Cru vineyards in Chablis. The vineyard is located just to the north of Chablis town on the eastern banks of the Serein river. Here, a favorable southerly aspect and high-quality limestone soils beget a distinctive Chardonnay-based wine, distinguished from other Chablis Premier Crus by its rounded lemony flavors that nevertheless retain a fresh minerality. The Wine: Toscana, Italy- Delivers a structured array of complex perfumed aromas of pineapple, vanilla, sweet pear, minerals and herbs. Refined and elegant on the palate with good balance. Finishes long, with the distinctive flavor of rosemary, wild summer honey and licorice. The Winery: Terre di Talamo is located south of Grosseto, in the Tuscan Maremma. The D.O.C.G. is Morellino di Scansano.The 52 hectares estate is on a hillside facing the sea, and offers a view from the Port of Talamone to the Argentario promontory.The vineyards extend over about 32 hectares. They are planted with Sangiovese, Merlot, Cabernet Sauvignon, Cabernet Franc, Syrah, Alicante, Petit Verdot and Vermentino. 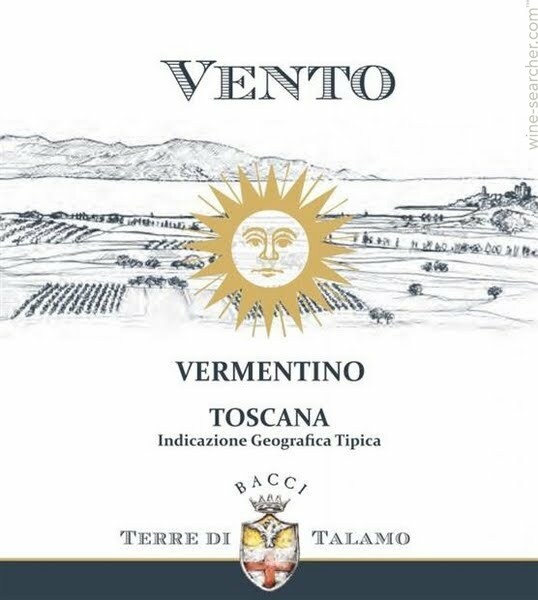 At Terre di Talamo the following wines are produced: the Morellino di Scansano “Tempo”, the Morellino Riserva, a Petit Verdot based IGT named “Percecco” and the Alicante passito “Ser Ciccio”.Three white wines are produced: the “Vento”, pure Vermentino, the Vento Forte (late harvest, fermented in oak) and the Vento Teso (pure Viognier).The range is completed by the rose’ wine Piano Piano made with Sangiovese and Cabernet. The Maremma rose to prominence in the 1960s when Sassicaia brought the area’s potential to the wine world’s notice. In fact, wine had been produced on the hills surrounding the Maremma for centuries but Sassicaia was the first to experiment with Bordelais varietals (and the first to plant vines on the recently drained coastal plain). Some 150 kms farther south the vineyards surrounding Scansano predate the more fashionable DOCs of Bolgheri and Val di Cornia by many centuries. Terre di Talamo is located in the heart of the Morellino DOCG on a south and east-facing hill with direct maritime exposure. Compared with Chianti or Brunello the days are cooler, nights warmer, and Sangiovese ripens that bit quicker. Vintage variation is less acute and the tannins are softer. The Wine: Rias Baixas, Spain- Delicious peach, mineral and citrus aromas and flavors leave a vibrant, racy impression on the palate. Ideal as an aperitif or companion to seafood dishes and spicy entrees. Perfect with tuna. Clear, brilliant wine, with an extremely elegant lemon-yellow colour. An intense aroma on the nose, with persistent quality aromas, reminiscent of green apple and tropical fruits (pineapple). Glyceric finish, lingering on the palate, with a perfect acidity harmonizing with its body, making this a very pleasant wine full of sensations. The Winery: Rías Baixas is a DO wine zone in the Galicia region of northwestern Spain, located along the Atlantic coastline. Although a comparatively young DO (established in 1988), Rías Baixas has rapidly grown in stature thanks to the efforts of its various enterprising producers, who have adopted modern winemaking techniques to showcase the region’s signature grape variety, Albariño. Not surprisingly, the Atlantic Ocean is a key influence on the Rías Baixas climate. Average rainfall is very high here, sometimes exceeding 71 inches (1800 millimeters) a year, and mists and fog from the sea also add to the cool climate. This climate is why Rías Baixas is so successful with Albariño – the cooling ocean influences help the grapes to retain the crisp, mouth-watering acidity so vital to the distinctive style of the local wines. The finest Rías Baixas wines are characterized by their intense aromatics, and long, pleasant floral aftertaste, often further lifted by a slight fizz. The area’s granite soils help imbue the wine with intense minerality. The brand is born from the hand of Simón Ferro family who purchased these wine cellars in 1975, where wines of the County were elaborated since 1862. At the time, the property had roughly a hectare of traditionally grown vineyard and, what began as a complementary activity to the familiar economy became over the years in a company itself, true to the vision of the family who from the beginning was enthusiastic in obtaining a premium quality white wine. Nowadays, the company is property of the founders’ four sons. In 1986, the winery is built up and it participates as D.O Rias Baixas founder. At this point a progressive growth is established and it has gone from producing 8.000 bottles per year to 520.000 in less than a decade at the present time.Nowadays, the winery has its own vineyard covering a surface area of around 50 hectares and, in the last five years, it has made investments in machinery and equipment amounting to almost 600.000 Euros; special focus being given on adaptation of technological developments to the traditional method of wine elaboration. These investments refer to all aspects of production, from the own viticulture to the upgrading of wine storage, bottling line and traceability systems; not forgetting the economic and financial management.